At Appliance Repair Experts, our professionally trained repair technicians are able to properly repair any type of refrigerator in a residential or commercial setting. We know that your kitchen cannot function without a working fridge, which is why we are open six days a week from 8 AM to 5 PM. Most of our repairs can be performed the same day you request service, making us the top refrigerator repair company in Las Vegas. Don’t go another day with a broken refrigerator. 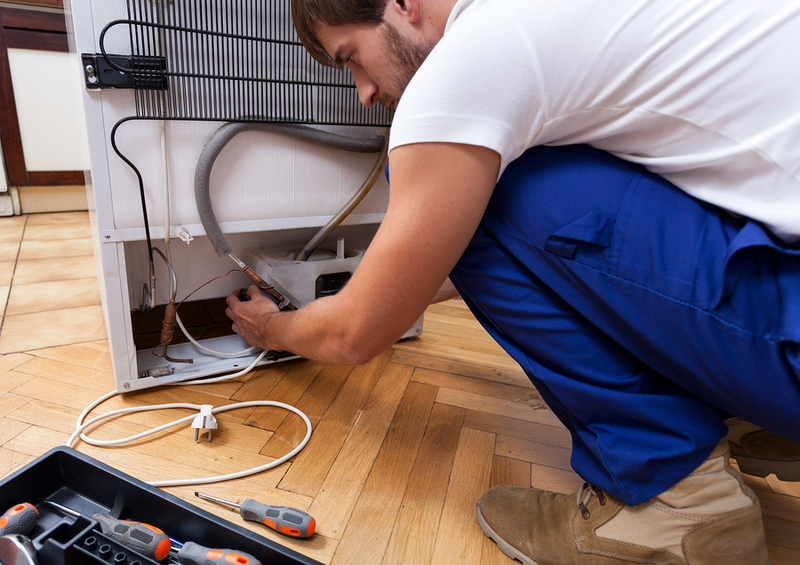 Contact us today to set up a time to get your unit fixed. We have repaired hundreds of refrigeration units across the valley. Give us a call at 702-515-1515 to find out more about refrigerator repairs. Clean off your compressor coils every two months. These coils, located at the bottom of the unit, are generally behind the grill in the front of your refrigerator. These coils are usually damp and can easily collect dust and grime. By taking the time to wipe off these coils, you decrease energy use and improve refrigeration quality. Clean the vents. These vents are located at the bottom of your fridge and allow air flow to come in and keep machinery cool. Make sure to keep these wiped down and free from blockages. Your fridge needs to be balanced to run correctly. If your fridge is not even, adjust the metal feet on the bottom to make sure it is stable. When your fridge is sitting evenly, it will have better cooling flow. Avoid placing your refrigerator next to the stove or in direct sunlight. The additional heat from these sources will make your unit work harder to keep it cool. Check your fuse box. Power surges can pop the breaker and cause the unit to shut down. Get your fridge back in gear with help from the top appliance repair company in Las Vegas. We are happy to answer any questions you have. Take the first step to having your refrigerator working properly again by contacting us today!